Front Wheel Travel 210 mm / 8.3 in. Dimensions Length: 2175 mm / 85.6 in. Wheel Base 1479 mm / 58.2 in. Seat Height 780 mm / 30.7 in. Wet Weight 191 kg / 421.1 lbs. Reserve Approx. 4.5 Litres / 1.2 US gal. Narrowly focused sportbikes to the left, massively overwrought tourers to the right…is there any place left for the simple, do-it-all motorcycle? Sure there is, and far from becoming an endangered species, the lightweight enduro – a kind of motorcycle that embodies off-road capabilities alongside roadworthy manners tailored to please experienced and beginning riders alike – has become immensely popular around the world. Between 1995 and 2003, BMW has sold more than 110,000 F 650s, with 32 percent of the latest versions going to female riders (worldwide). What’s more, some 21 percent of F 650 buyers were new riders. And now, for the 2006 model year, BMW’s entry in the amazing category returns refined, refreshed and ready to do business. The GS’s overall compact dimensions are made possible by a slender engine and a fuel tank located under the seat. Not only does this placement improve chassis packaging, it dramatically reduces the bike’s overall centre of gravity, making the GS feel smaller and lighter – considerations critical to the beginning rider. Central to this multi-role versatility is the F 650’s relaxed, upright riding position that is the ideal compromise between on-road comfort and off-road control. For the new F 650 GS, BMW has focused on improving the bike’s ergonomic profile and making it even kinder to beginning and returning riders. To this end, a new clutch lever featuring incremental span adjustments that provide riders with smaller hands improved control and comfort (an adjustable brake lever continues as standard.) 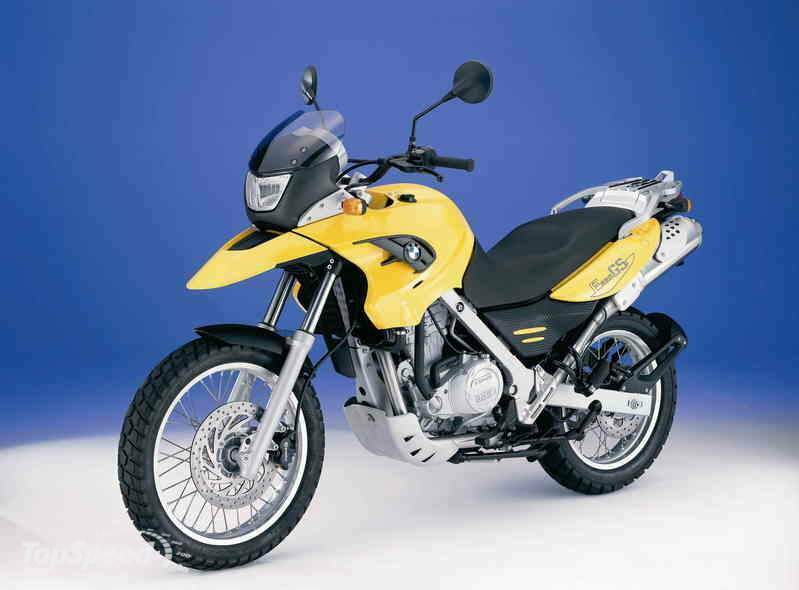 To accommodate riders of different heights, several seat options are available for the F 650 GS. The GS comes standard with a 30.7-inch (780mm) seat height with a low seat option, which further reduces it to 29.5 inches (750mm). In addition, a high seat is available that provides taller riders with extra legroom. This year, the F 650 GS have new bodywork placed upon the strong and durable steel frame. A new clear-lens headlight puts more illumination on the road and works with entirely new windscreens to improve weather and wind protection. Revised inserts alongside what would normally be the fuel tank distinguish the new model and improve cooling by allowing more air past the oil cooler (the fuel cell is located under the rider’s seat for lowered center of gravity and improved handling.) Finally, the rear luggage rack has been redesigned to accept an optional top case without an adapter plate, as required in the past. The F 650 is powered by a BMW-designed, single-cylinder engine embodying technologies not seen on other “thumpers.” For 2006, the engine’s technological resume stretches to include 2 Spark ignition for the four-valve cylinder head and a new and advanced BMS-C II computerized engine-control unit that dynamically manages spark and fuel delivery to suit any riding condition. With these improvements, the liquid-cooled, 652cc engine produces fewer harmful exhaust emissions, is more fuel efficient, and has a torque peak at 4800 rpm instead of the previous model’s 5000 rpm. In addition, the 2 Spark ignition system offers increased drivability, stronger mid-throttle response and greater engine flexibility. As before, the GS uses a three-way catalyst in the updated, stainless-steel exhaust system to meet the stringent Euro2 exhaust emissions requirements. 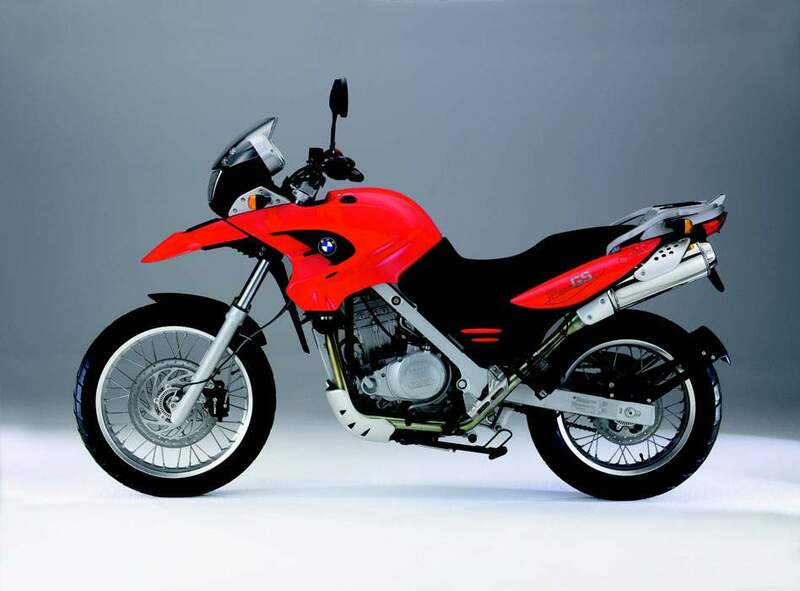 Although the GS may see different missions, it is available with BMW’s advanced ABS system, the only such single-cylinder bikes in this category for which this is true. To optimize the system for off-road use, the ABS may be switched off via a cockpit-mounted switch. ABS II with rider-selectable defeat. Multiple seats. There is a taller dual seat as well as a lowered-suspension option using the standard seat. The GS can be fitted with a special black single seat with luggage rack that provides the same seat height as the standard saddle. 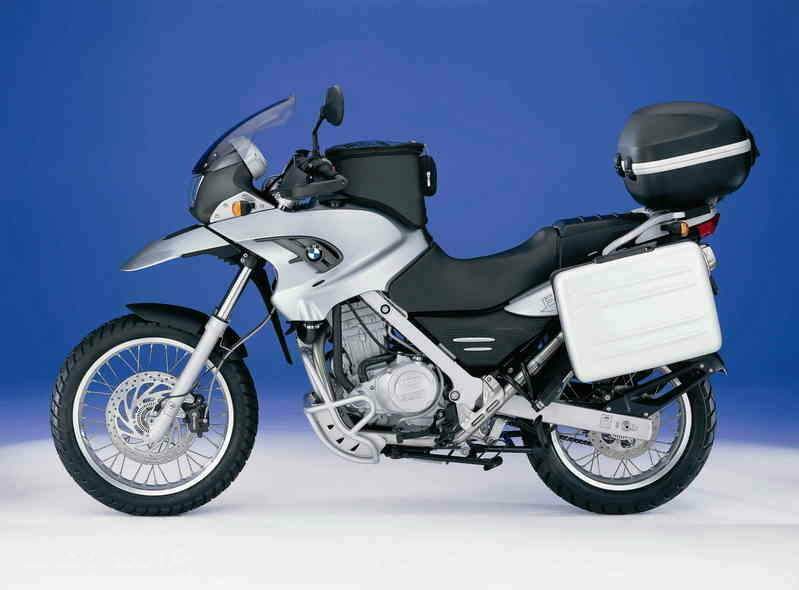 Several soft- and hard-luggage options, including variable-thickness hard saddlebags (Vario), soft bags for passenger seat and luggage rack, a hard top case, as well as liners for the hard bags. A taller windscreen, similar to the F 650 GS Dakar’s.